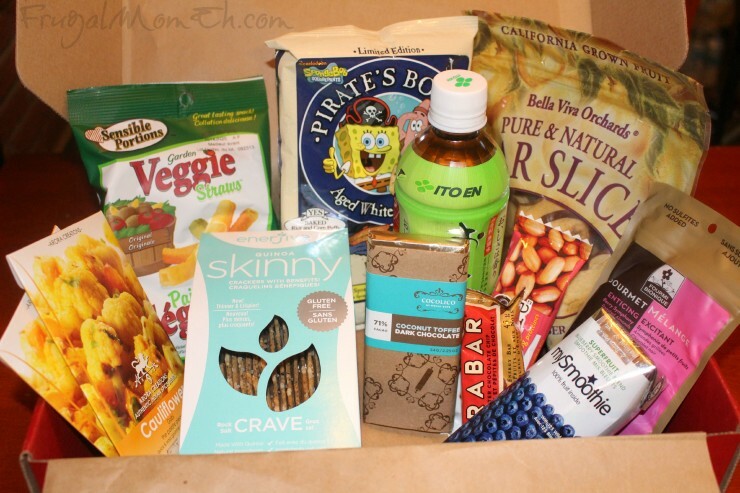 Give the Gift of Discovery with Snackbox #FMEGifts #Giveaway - Frugal Mom Eh! Snackbox is a monthly subscription service for Canadians, based in Vancouver, BC, that specializes in curated selections of premium, natural, and most of all, delicious, snacks. 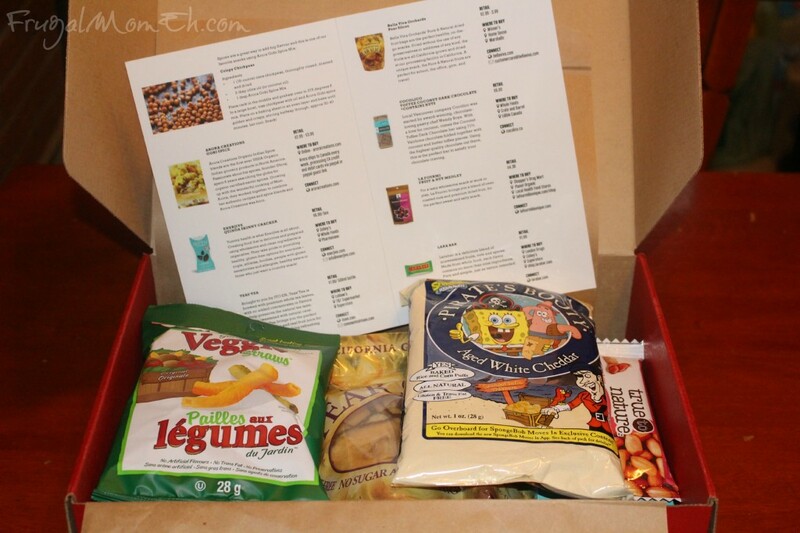 Each Snackbox has about 10 – 12 items with a $40+ retail value. The number of products fluctuate each month depending on the size of individual products. The products selected are always natural, and made with ingredients you can pronounce. What a fabulous way to discover new and healthier alternatives to the typical junk foods! There are three subscriptions for members to choose from. Prices start from $24 per month for a six-month subscription, $27 per month for a three-month subscription, and $33 per month for a monthly subscription (plus $6.95 shipping and applicable taxes). See the “Buy it” section at the bottom of this post for a $15 off coupon! I was really excited to discover Snackbox as it is so hard to find good subscription boxes that will ship to Canada, and I’m honestly obsessed with subscription boxes. There is nothing as fun as receiving a complete surprise every month, except knowing that what you’ve paid for it is just a fraction of its value. Let’s take a peek at what was included in the November Snackbox I received! First off, I was extremely impressed and happy to find a card that detailed the contents of the box. This is such an awesome detail as none of my current subscriptions include this. The card is a complete guide that details the retail pricing, where you can buy the product, how to connect with the brand as well as a summary of the product. Arora Creations Gobi Spice blends are the first ever USDA Organic Indian grocery products in North America. I used the packet and followed the recipe included by Snackbox to make delicious roasted chickpeas. These were super delish! Healthy food that is good is what Enerjive is all about. They take pride in providing healthy, gluten-free options for everyone! 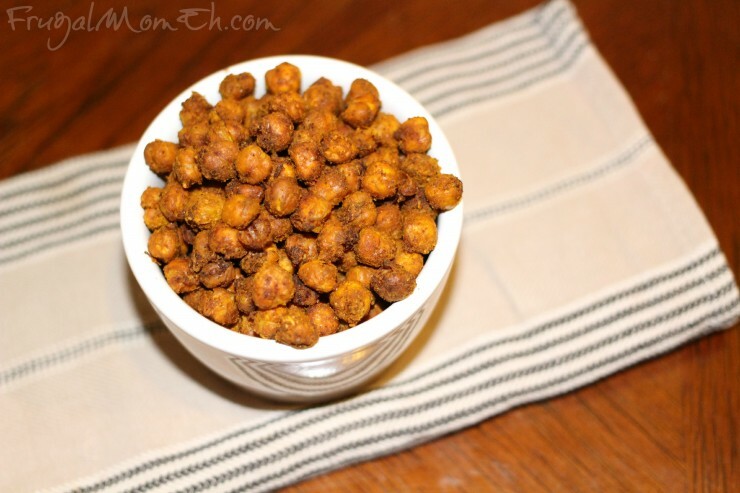 These were yummy and crunchy and the sea salt made them extra yummy! Brought to you by ITO EN, Tea’sTea is brewed with premium whole tea leaves, with no added concentrates or flavors which helps preserve the natural tea taste. Lightly Sweetened with natural cane sugar, Teas’ Tea brings you the perfect fusion of green tea and real fruit juice for the perfect thirst quenching beverage. I was actually sent a pure iced green tea which was unsweetened. This was surprisingly refreshing. I added a little fresh lime juice just to add a little zip and was it perfect. These fruit bags are the perfect healthy, on-the-go snacks. Dried without the use of any preservatives or additives of any kind, the fruits are all California-grown and dried. These are absolutely delicious and actually do taste like pears. I love that the only ingredient is pears. 71% Valrhona chocolate folded together with coconut and butter toffee pieces. Wow! I was a little shocked at the retail value for this chocolate bar but I completely understood once I got to try it. Amazing! A blend of oven roasted nuts and premium dried fruit, for the perfect sweet and salty snack. This is definitely what I would call gourmet. Normally I kind of hate fruit and nut mixes for being too sweet and too dry but this literally is perfect. Although all that yummy dark chocolate in the blend I received might be talking here. A delicious blend of unsweetened fruits, nuts and spices. Made from whole food, each flavour contains no more than nine ingredients. Made from real potatoes and flavoured with tomatoes and spinach. I had to share my bag with Keira, I let her try a bite of one and the next thing I knew she was sitting beside me on the couch asking for more. They are really quite delicious and a great alternative to the usual potato chips. Power packed with nutrients and made from mango, guava, spinach, nettle, wheatgrass, broccoli and green tea. The flavour included in my box was actually wild blueberry and it was really quite tasty. All natural and baked using real aged white cheddar, this snack is gluten and trans fat free. These taste like yummy corn puffs except baked and free of trans fats. Yum! This protein bar is made with hemp hearts. a natural source of protein. If you chose the monthly subscription you would break even. If you chose the 6 month subscription then you’ve gotten yourself a pretty good deal! Give the Gift of Discovery this Holiday Season! You can now gift one, three, or six month subscriptions. These gift subscriptions do not have recurring billing so you don’t have to worry about remembering to cancel. 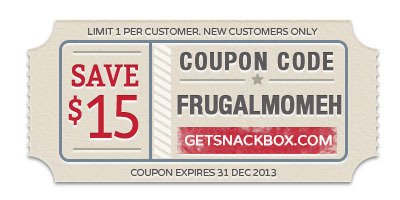 Don’t forget to use the following coupon code (FRUGALMOMEH) at checkout to save $15 off your Snackbox subscription! One Canadian Frugal Mom Eh reader will win one Snackbox for themselves! Giveaway ends December 30th at 11:59 pm EST. See Giveaway Tools form for entry and T&C! Disclosure: I received the above mentioned product in order to facilitate this review. HP products mentioned in this post were supplied by HP Canada. All thoughts and opinions are honest and my own. I think snack boxes are a great idea. They have such a nice variety of snacks in the perfect portions. I’ve heavily been thinking on ordering this for my daughter. She’s off to college in January & has no clue on ‘budgeting’.. she thinks cash is endless :).. I’m pretty sure this would b something useful to her after a month or two of kraft dinner and ramen noodles lol!!! I just got my first Snackbox and I am in love with it! Such great treats that are healthy and fun! A snackbox would be no good to me, I’m too much of a fussy eater, probably I’d only eat 15% of what’s in the box so for me it’d be a sheer waste of money. This would be an awesome gift for my nephew away at college! Thanks for the great idea! I like that Snackbox offers natural products that are nutritionist-approved. It’s a fun way to try new products. I love that there is such a variety of products available each month as well as it being a great value for your dollar! I also really like that the products are natural and approved by a nutritionist. I would love to try this. I have become label obsessed since having my son. Id love to have healthy snack options!! I like that most of the snacks are gluten free! I think it’s a great way to try some healthy new snacks, that you otherwise may not pick up. I liked that everything they include is natural. I like that there are three different subscription options. I like that they are healthy snack. This would make a great care package for university students. The snacks are healthy, I really appreciate that! You will be billed at set intervals (every 1, 3, or 6 months) until you ask us to change your subscription. First time mom trying to make healthy decisions! These look fantastic! I like when it has new snacks every month. I learned that you can gift one, three, or six month subscriptions.,great,,nice gift idea! I love that these Snackboxes are prepared by a nutritionist! How wonderful to have somebody else doing the legwork! Thanks so much! I like that the snacks are nutritionist approved! I learned that you have gluten-free products. Healthy snacks delivered to your door every month. A great way to try new healthy snacks. I learned that they have a 100% money back guarantee. I like the idea that Snackboxes contain some Gluten Free products. I like the idea of receiving treats to sample every month that are healthy for you! I like that most products are at least vegetarian. I like that I would get to try different healthy snacks that I would otherwise be leary of trying in case I don’t like it. Seems like a great mix! I liked that you can try just one box if you’re not sure. I learned that most of the products are meat-free. I like the variety and healthiness of the foods in the boxes. I never eat enough greens so I tried to put it in my smoothies! I like that not only are their products a healthier alternative to other snacks but they are also often produced locally(in Vancouver or BC) or Canadian. I like the variety of snacks that they offer and that they’re overall, reasonably healthy. They are perfect for lunches and sometimes I get so stuck deciding what to buy! I like the variety that is offered and it is Canadian. I like that it profiles different products that you might not normally know about. I like that it is different stuff than you would normally eat so you can try new things! I love the variety of healthy snacks that Snackbox offers! I like that you can subscribe to their boxes either 1 month at a time, or 3 months or 6 months. I like that you have the option of 1, 3, or 6 month billing cycles. ****** What a great idea!!!! Good way to know you are having healthy foods added to your daily routine! Plays a great way to try new foods!!!! i like that they are trying to show us a healthier way to live, we all snack and they are showing us some healthier ways to snack. I found out that snackbox has a 100% MONEY-BACK GUARANTEE! I learned you can mail the boxes to different addresses. I like that they introduce consumers about the healthier snacks available. Dark Chocolate Cherry – Monkey Butter stuff. I love that you get to try something new every month and that you can choose different box sizes depending on how big or how small your family is. I learned that most of the snacks are gluten-free but not all of them. This is really cool – a great way to try new products! I learned that Granola Girl is one of the snacks included! That it includes 10-12 nutritionist approved snacks – awesome! I learned that each Snackbox contains 10-12 items. I love that they offer gluten free products, my husband and son are both gluten sensitive. This is a great idea. thanks for the draw. What a great idea! I would love to receive this, but I think I would be such a great gift for university students too! I learned that they are healthy and that is very important these days! It’s such a great way to discover new products! I learned that you can even get it delivered to your workplace! I learned that the goal of them is to help consumers find ways to snack that are healthy. I think it is great! I like all the choices because they are healthy!! I like that they are all-natural and it’s only in Canada! I like that they’re nutrionist-approved, and there’s no committment to keep ordering if you don’t want to. I learned that each Snackbox has about 10 – 12 items. I really like the 100% money back guarantee. Impressive. I like that their snacks are all healthy options. I like that they use all natural snacks. My idea of “healthy” and other “health food” snack boxes don’t always add up, so knowing these are healthy & natural is awesome. it is Canadian and have a great variety of healthy snack each month! I like that the boxes are delivered to your door with a 100% Money Back Guarantee. Love that these come from Vancouver!! I tried to order but can’t figure out where to use the code for $15 off? Great looking items, I would be skeptical until I knew someone that had received one to see for myself what is in it. I like that they offer natural and organic products. I like that the offer new snacks each month, that way you get to try out different things so you can buy them at a later date. I love that this gives me the opportunity to try out a variety of healthy snacks that I wouldn’t have tried before or been aware of. Love them all, but my daughters’ fave would most def be the Pirates Booty Cheese Puffs! I love the great variety especially between sweet and savoury. Love that Lara Bar’s were included in yours! I learned that most of their products are Gluten free and natural. I learned that the snackboxes come with a guide that tells you everything in them and where you can find more of a snack that you like. They are healthy and would be awesome to send to my son at college! I learnt how many comapanies are involved in making this company run! I like that they offer organic products, very neat. I love that the snacks are healthy and that you can try them before going to the store to buy a big portion of them!